Its been a while since I updated my blog, so an outing to find some "new" falls was on the cards. Up in High Wharfedale and the small beck in Buckden Gill are several small falls and 3 larger imprsssive ones - but getting to them wasn't easy. Park in the National Trust Car park in Buckden and then exit either side to start the walk up the track beside the stream. It starts on the left hand side just behind the caravan/camp site. 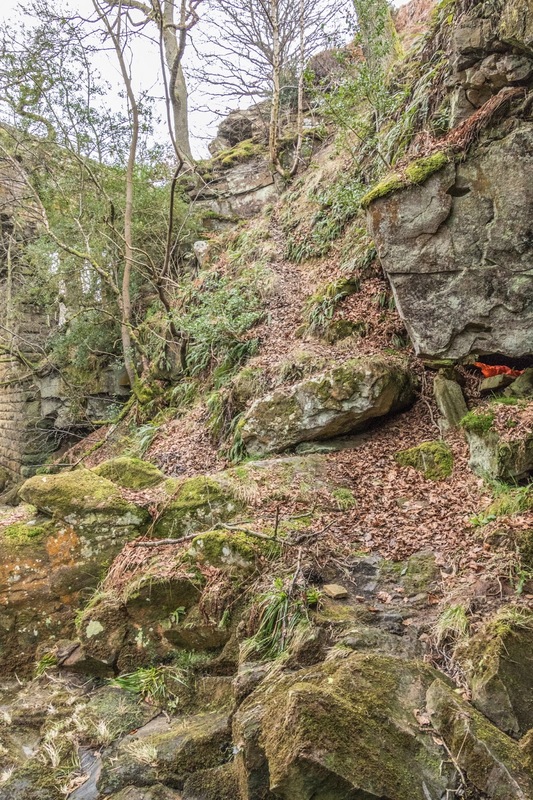 "It should be added that the path, which is generally quite clear, is also quite narrow. 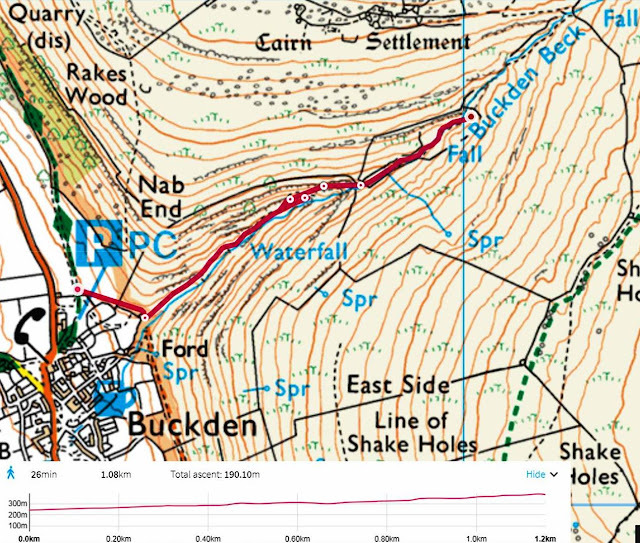 A couple of short scrambles are required to follow the path all the way up to the lead mine and after the second scramble a short section of the path is very close to a steep drop so care does need to be taken. 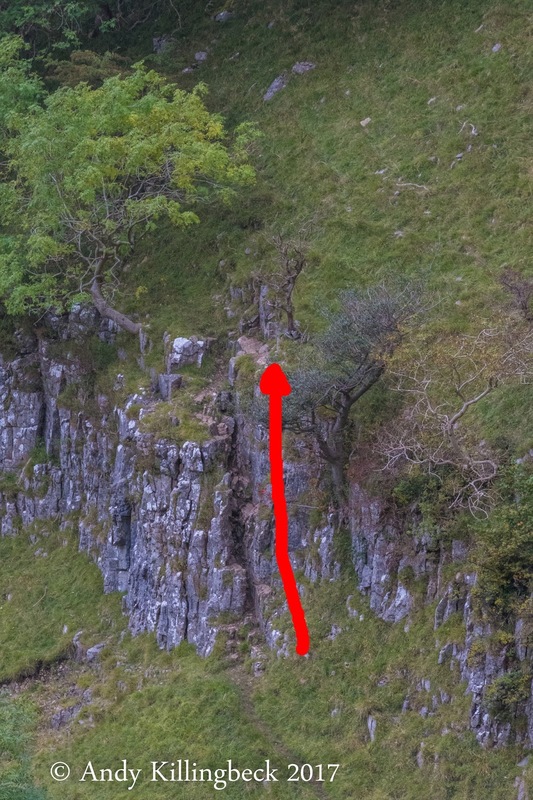 While I found it fairly easy going there was that slight element of risk that also made it quite exciting. 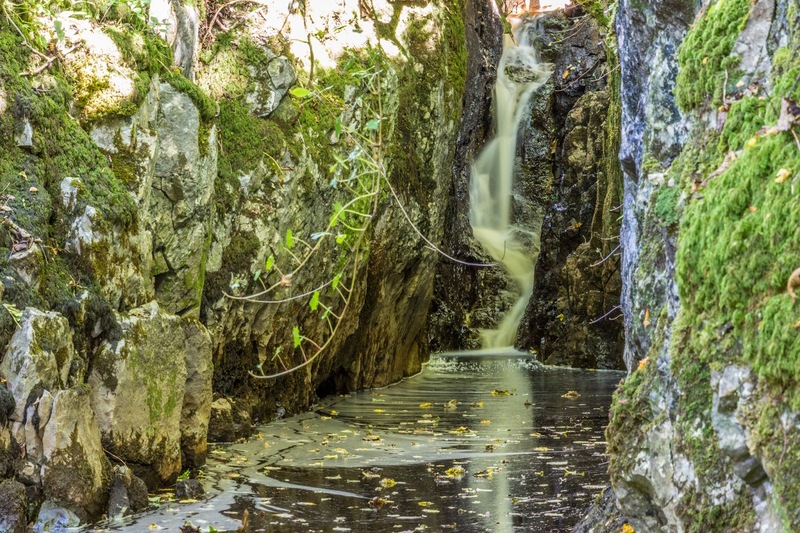 It is perhaps not a route for people who are nervous of exposed places." Following his advice we (My friend Les and I) managed to reach the 1st big fall quite easily, but that is where we decided to change the route, instead, opting for a very steep scramble up the other side of the gill. 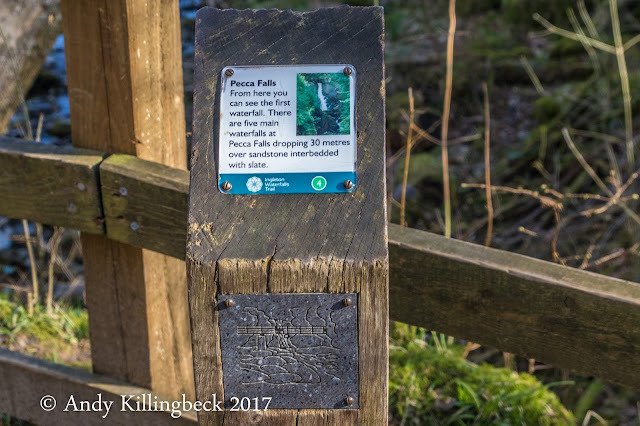 So you must make a choice - if you ever go! 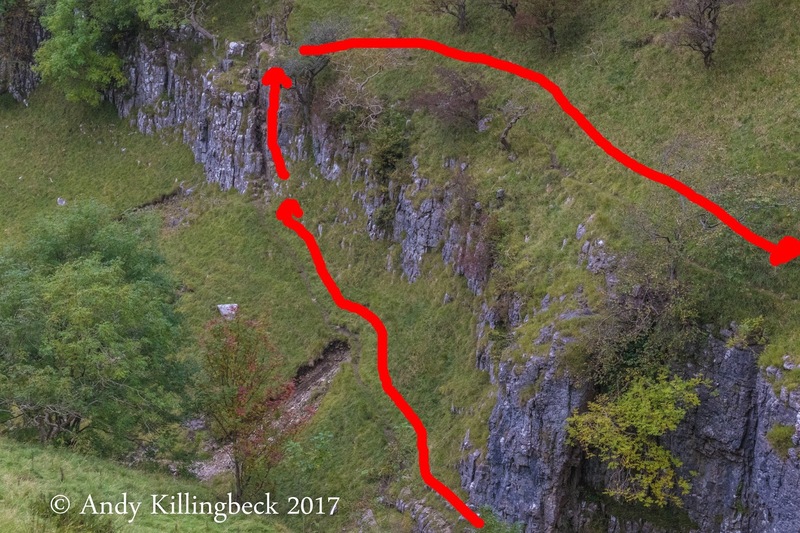 Which ever route you take - BE CAREFUL! 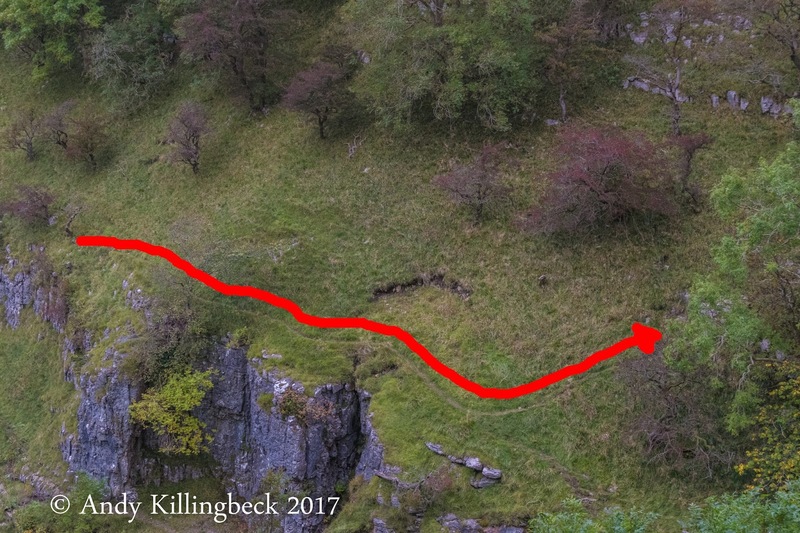 you then follow the track along the top to the next fall. 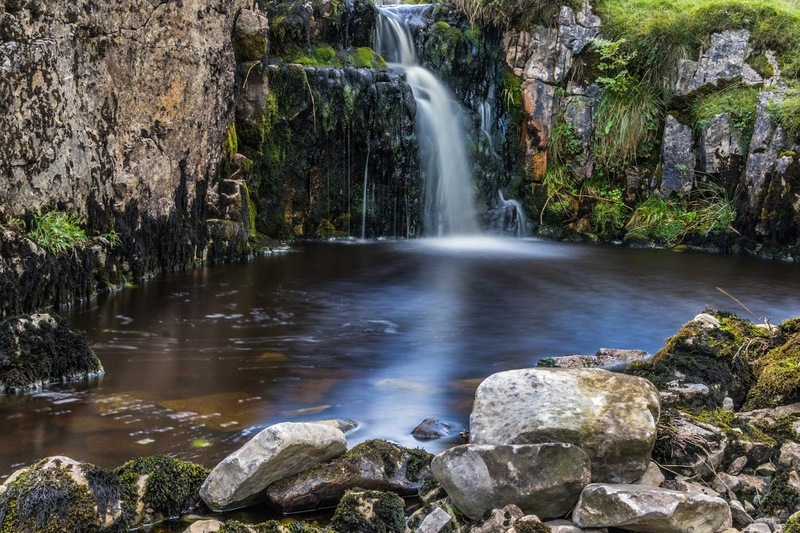 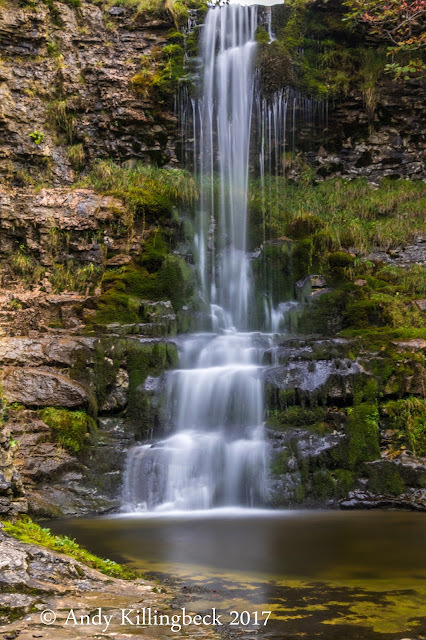 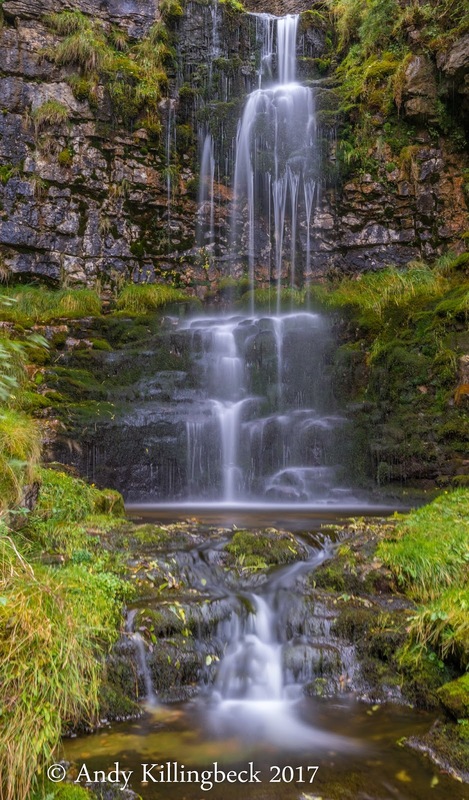 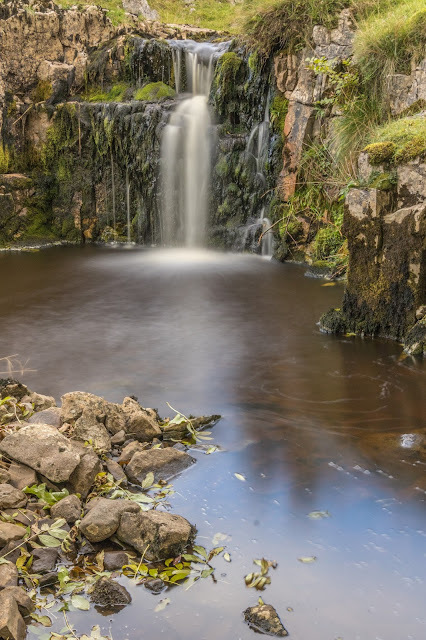 Along with Thomason Foss, Nelly Ayre Foss and Mallyan Spout, Water Arc and Walk Mill Foss make up the 5 waterfalls around Goathland on the North Yorkshire Moors. 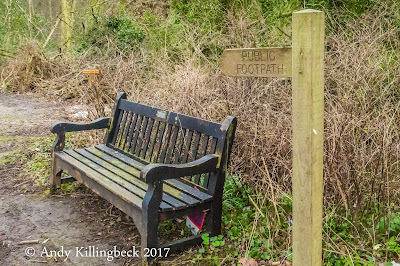 If you don't fancy walking, then the best place to park is on the grass verge opposite the footpath between Goathland and Beck Hole. This footpath takes you down to the track-side of the NY Moors Steam Railway. Continue under the bridge, across the footbridge. The choice then is Left or Right? 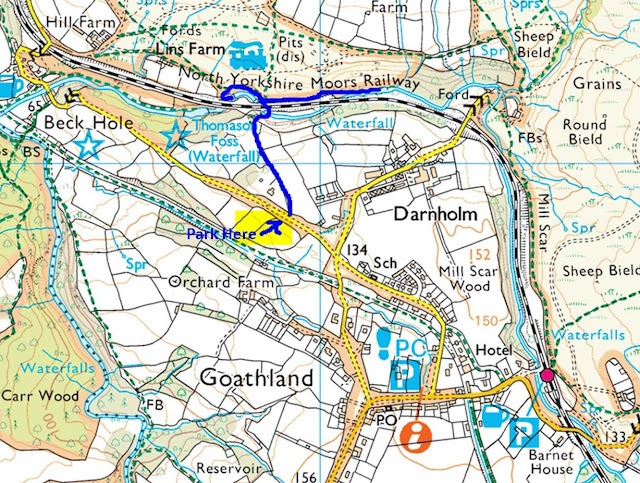 For Water Arc, head left along the footpath which arcs around to the other railway bridge. 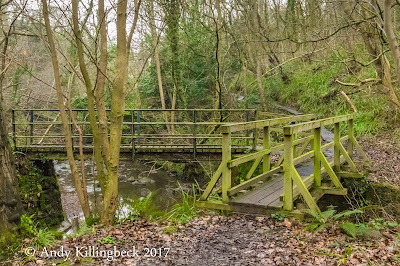 Where the footpath starts heading away from the stream and track, look to your left. 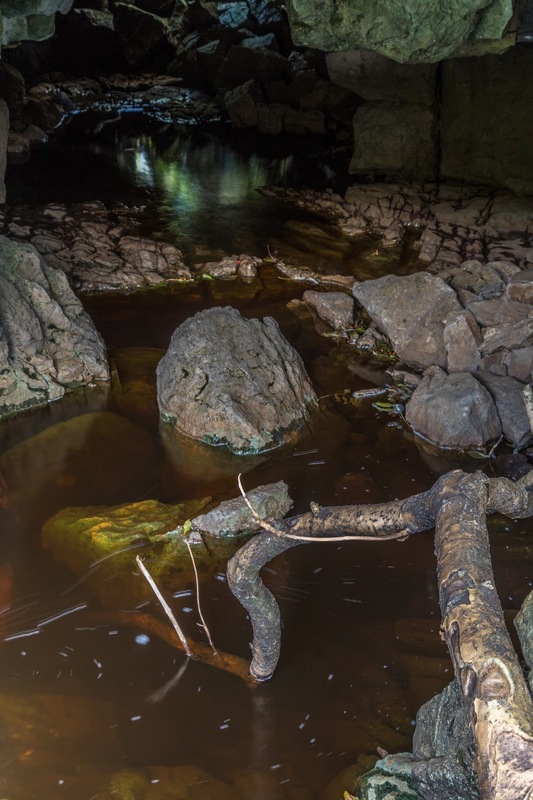 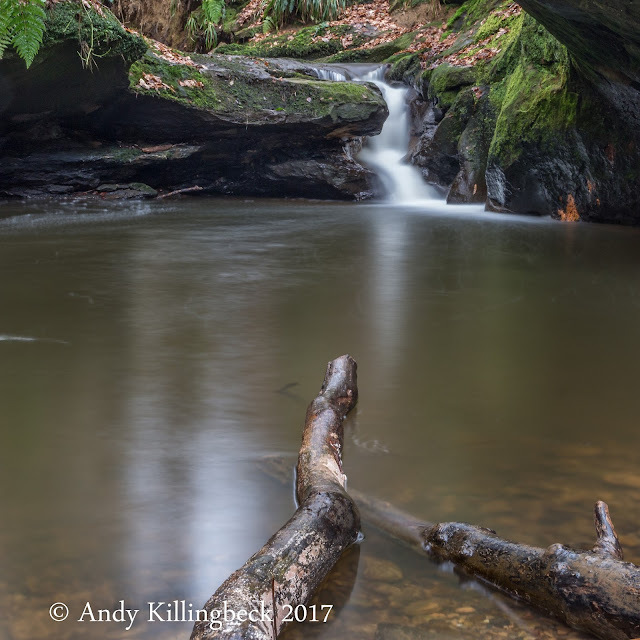 It is possible to clamber down under the bridge for a distance shot of the falls, however if you look back up stream, behind a fallen tree trunk there is a narrow track which can be, very carefully, negotiated down to the foot of the falls. 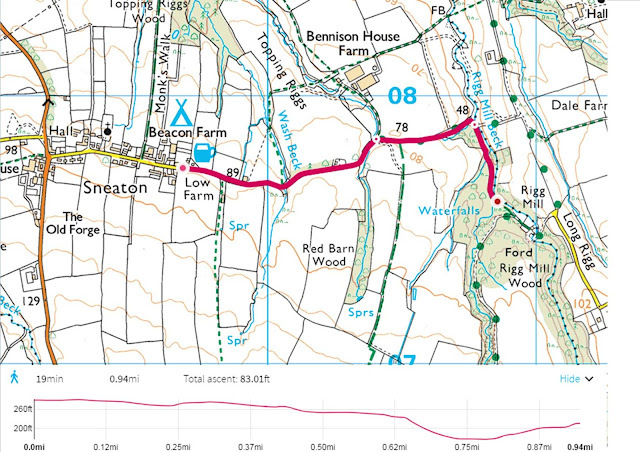 Second choice is the easier of the two, but can be wet and quite boggy after rain. 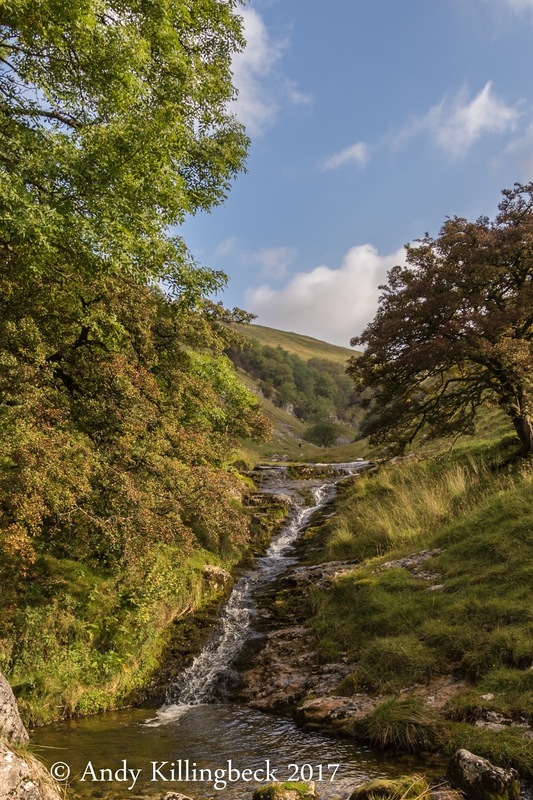 North of Horton in Ribbesdale is a small stream called Brow Gill beck. 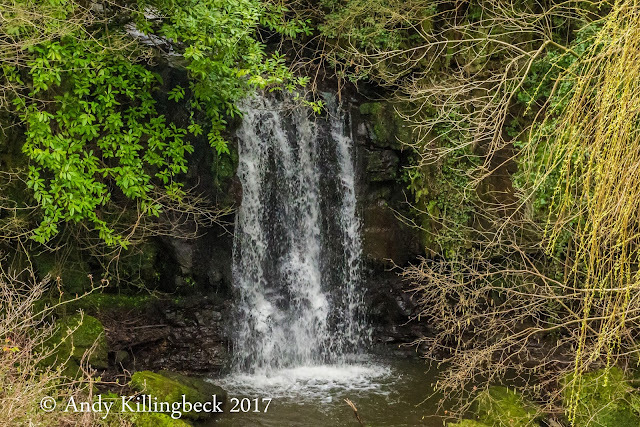 Not a very wide one, but it has several small but delightful falls that cascade down it for over half a kilometre. 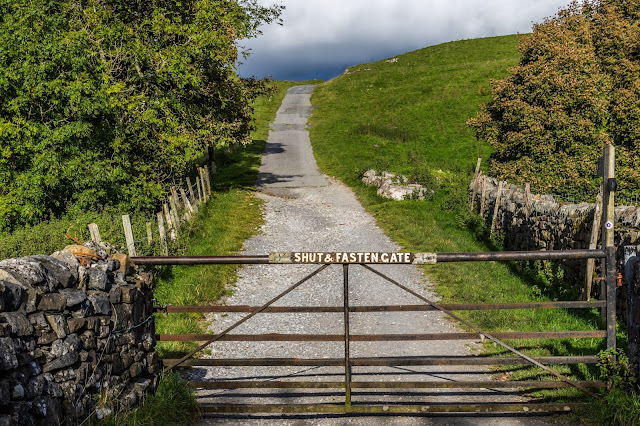 If you drive north from Settle, go through the village but as you turn left after crossing the first hump backed bridge, turn immediately to the right, don't cross the second bridge. 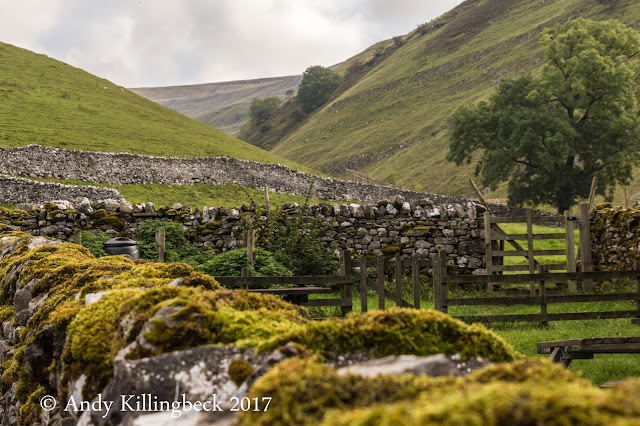 Follow this small lane approx 3 miles until you reach the farm at High Birkwith. There is room to park here as long as you don't block access to the Farm or the cottages. 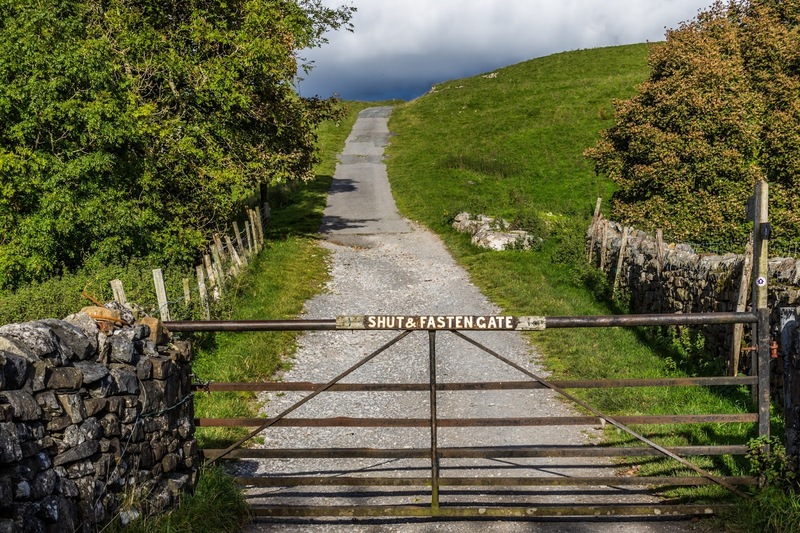 Keep following the lane, through the gate and head up the hill, then take the left hand track. After approx 1km (15 mins walk) you will cross the stream as it drops underneath through a cave. You have the choice of following up or down stream. Looking back towards the farm. 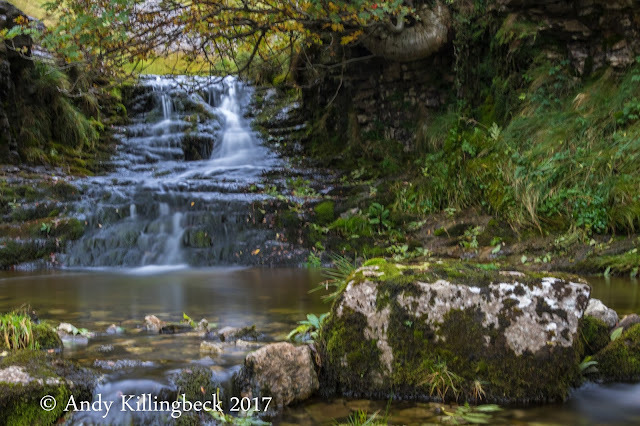 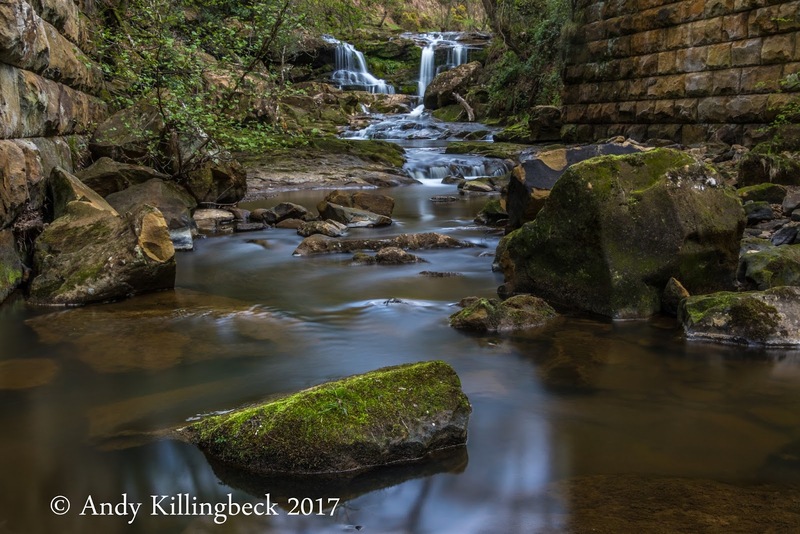 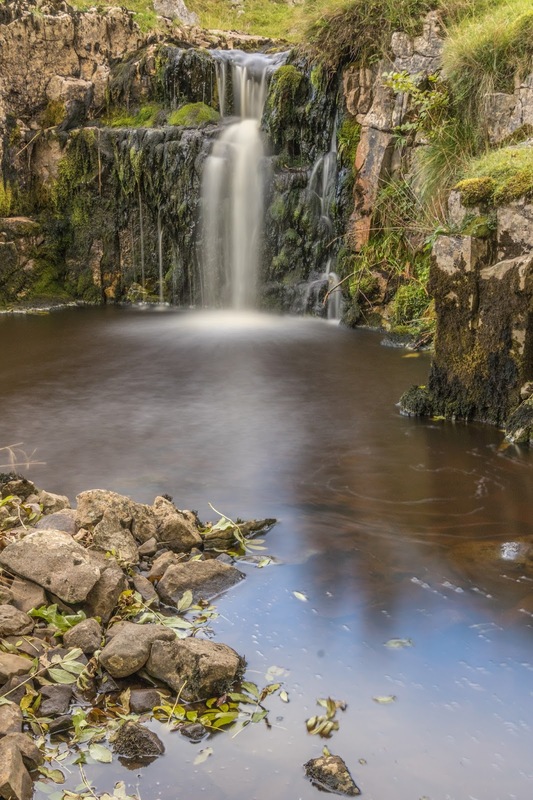 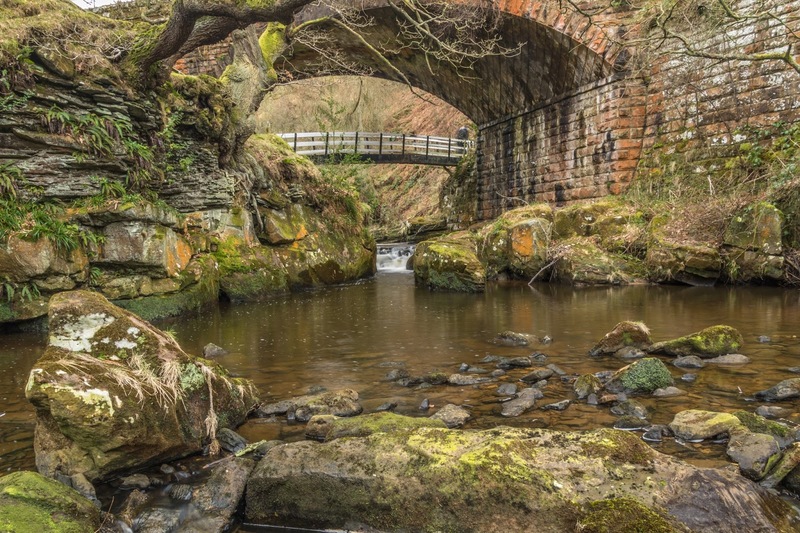 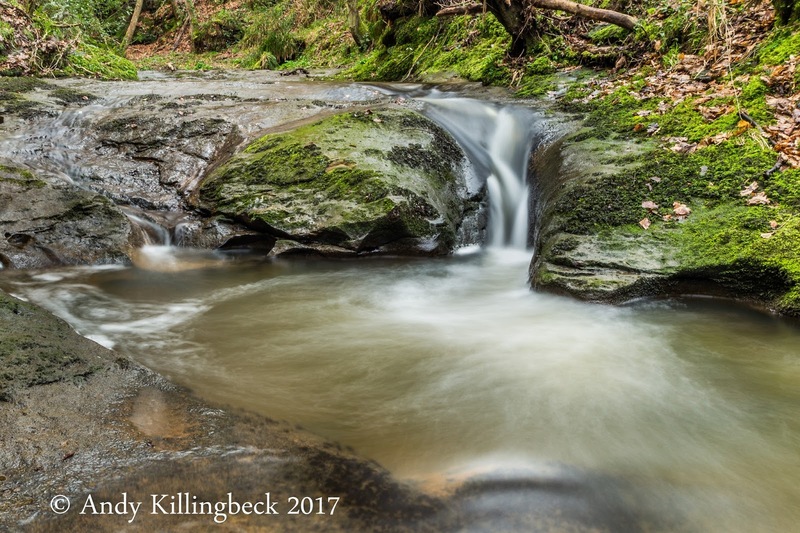 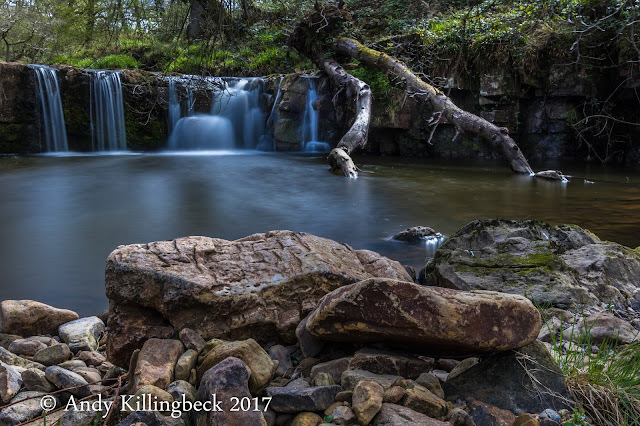 The falls of Golden Grove and Rigg Mill beck can be found just outside the lovely fishing town of Whitby, on Yorkshires East coast. 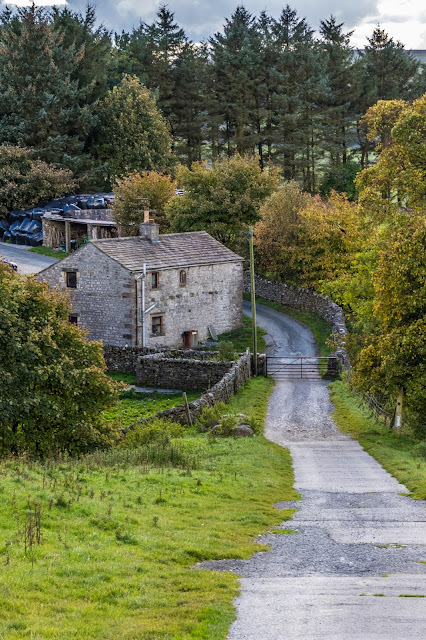 Golden Grove is not accessible as it sits within the garden of a small cottage by the side of the beck, but it can be viewed from the pathway, over the roof top of the cottage. 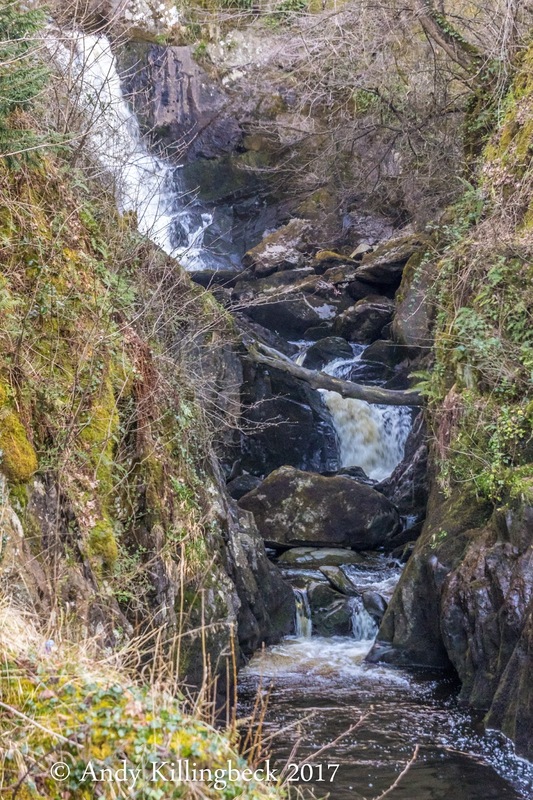 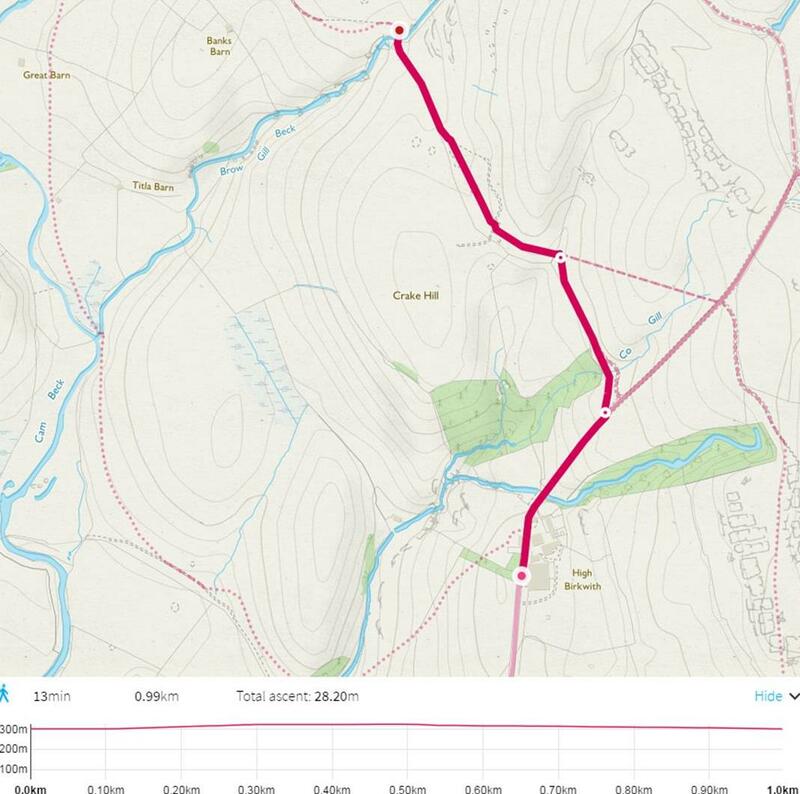 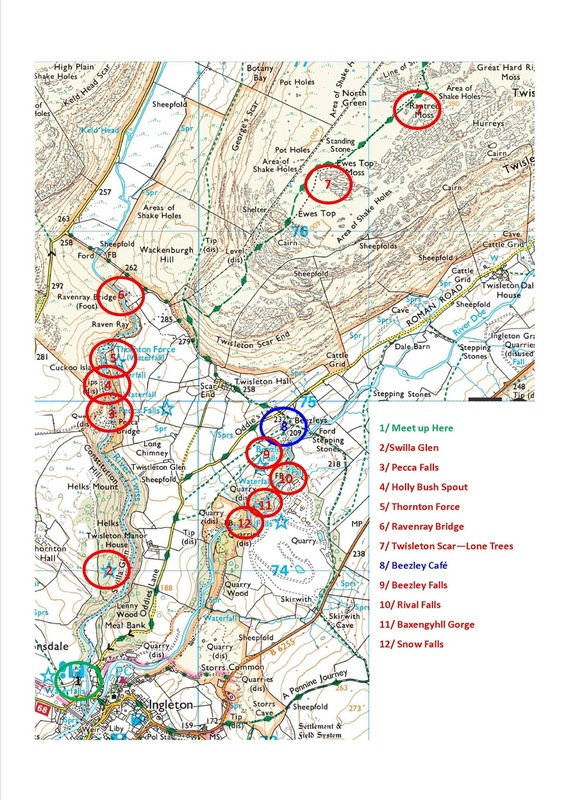 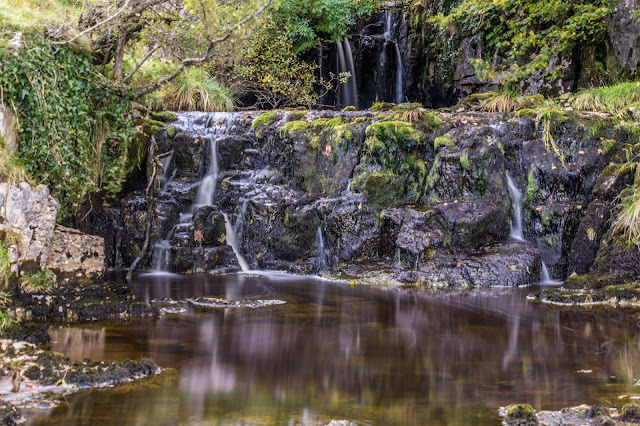 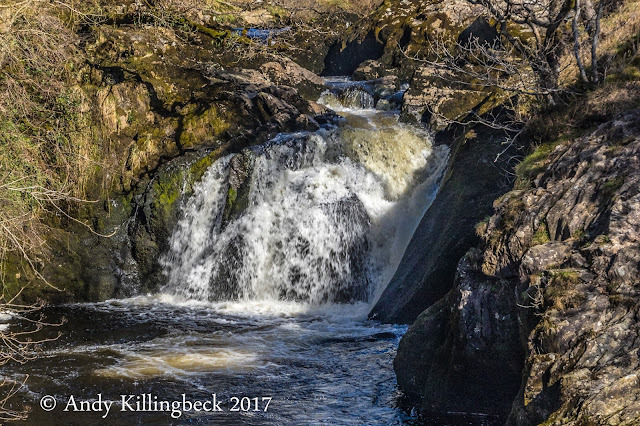 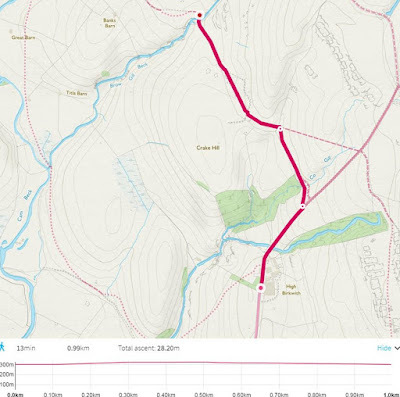 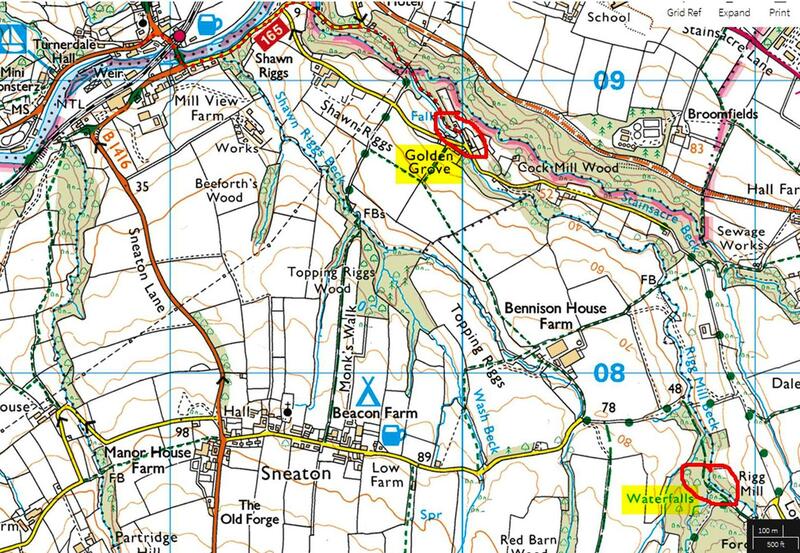 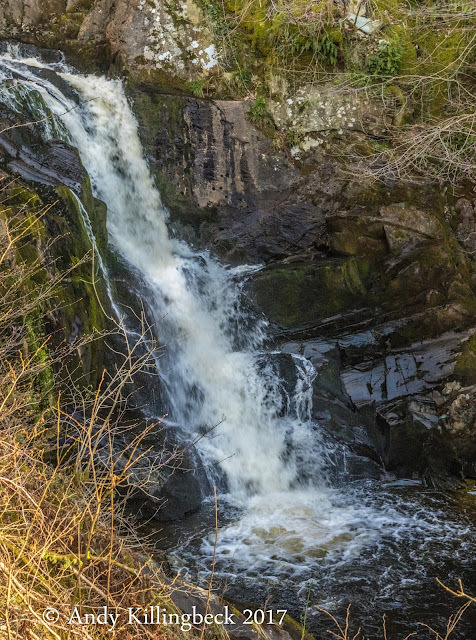 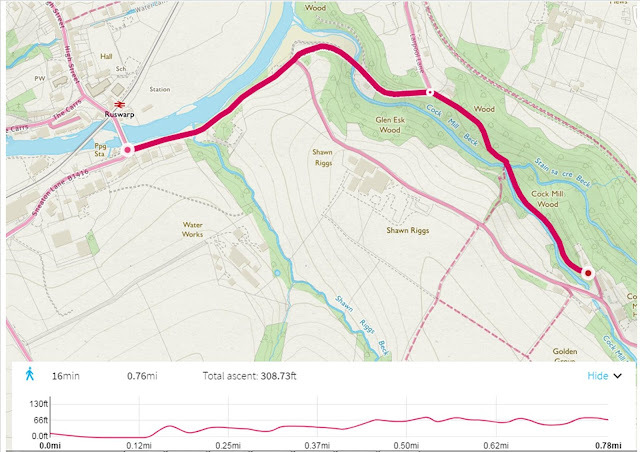 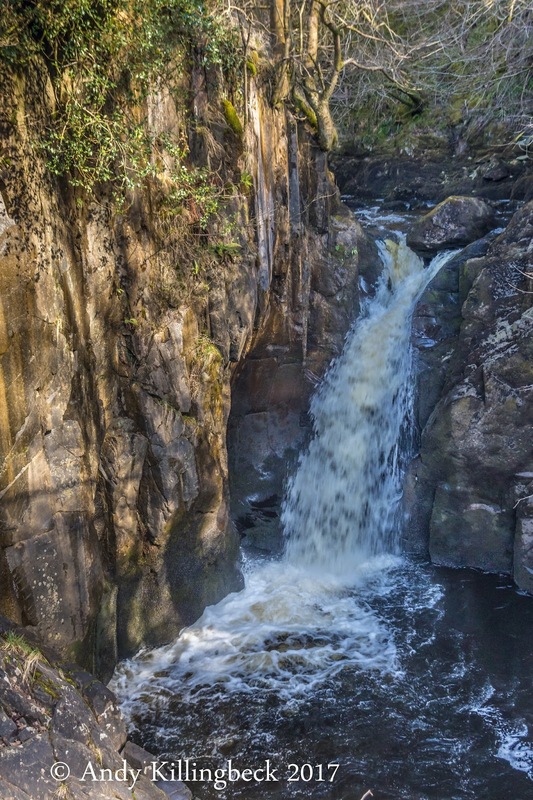 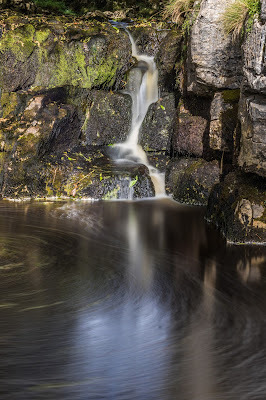 Unless you are intending to visit elsewhere, it is not worth making a special effort just for this waterfall, however, IF you intend to go, park in Ruswarp and follow the road over the river and railway heading for Golden Grove (see map). For Rigg Mill beck. Head towards the hamlet of Sneaton. 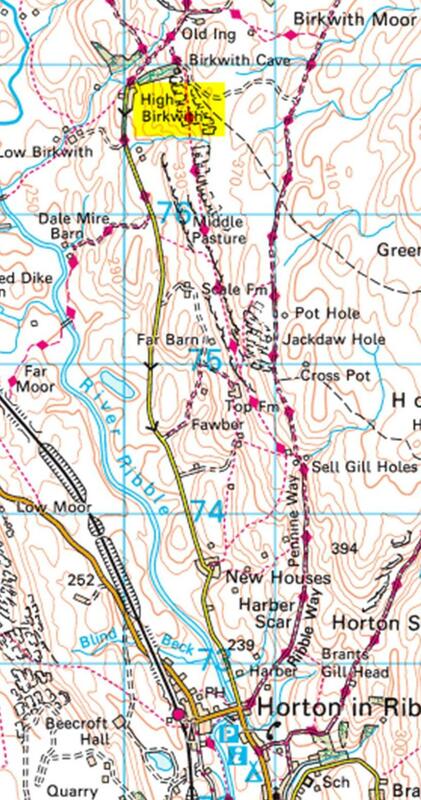 There are several places to park but the nearest is by the pub at the end of the road. 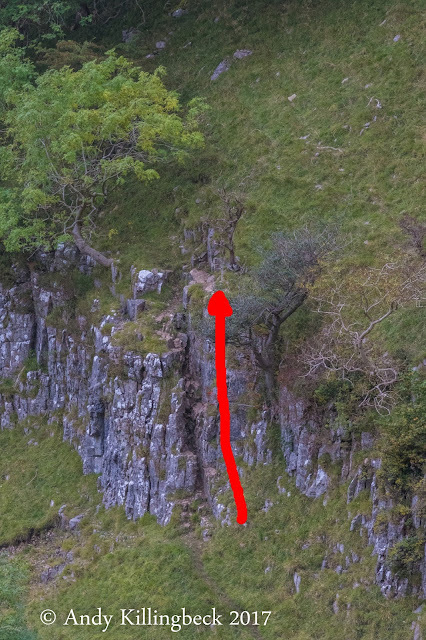 Don't go any further as this is just a track leading to the farm. When you reach the sign for the farm, turn right down a muddy footpath. Continue down this track until you reach the stream. 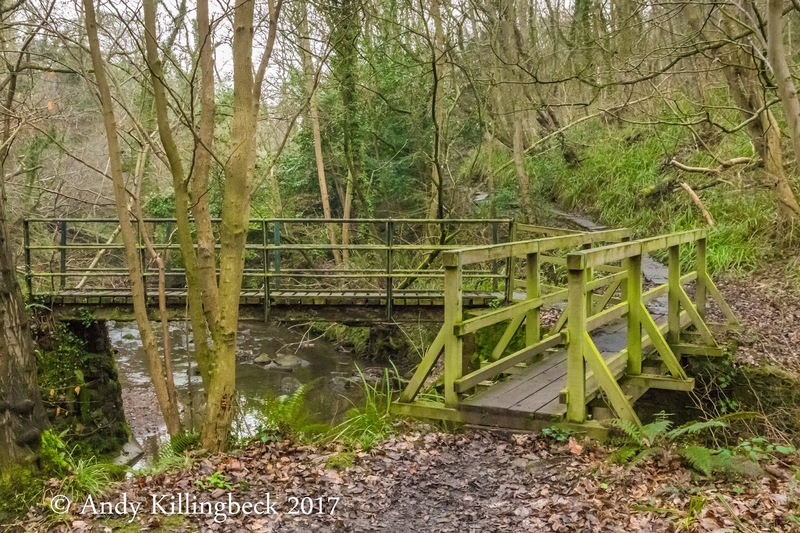 Don't cross the footbridge, instead carry on upstream on the right hand side. It does become very muddy and boggy in places. 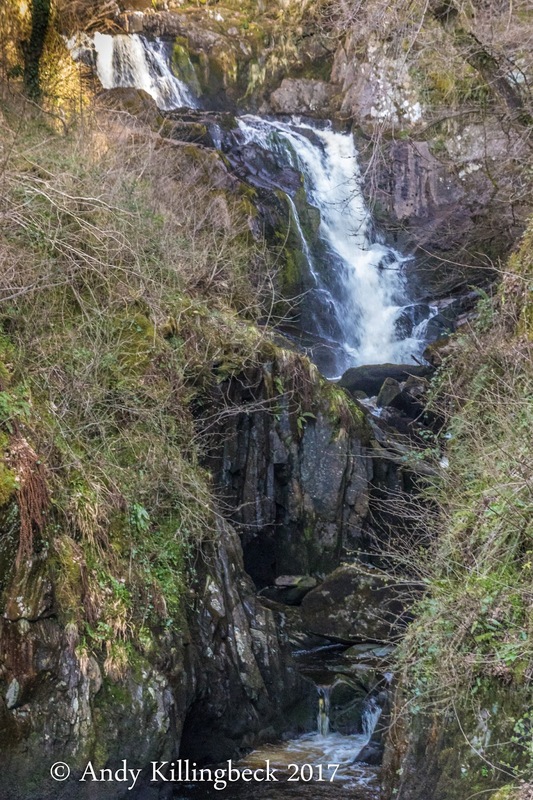 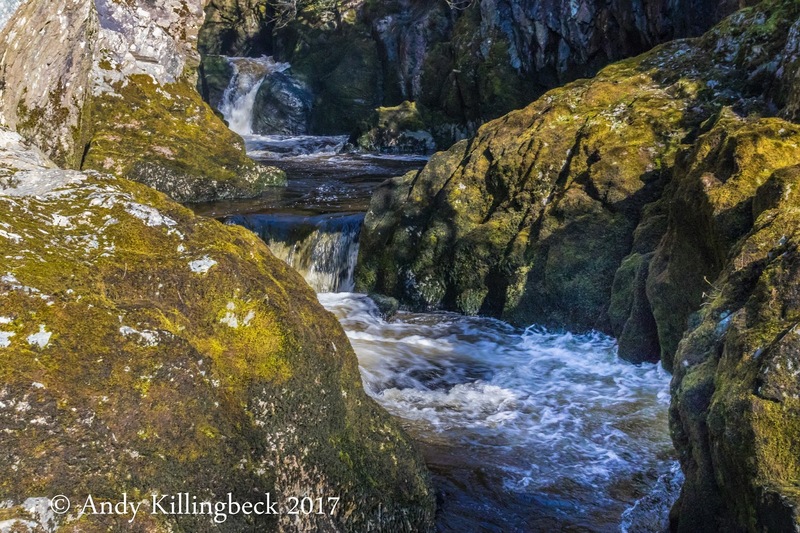 The 3 falls can be found where the main stream is joined by another beck. 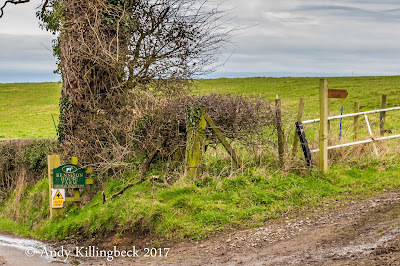 When you reach the sign for the farm, turn right down a muddy footpath. 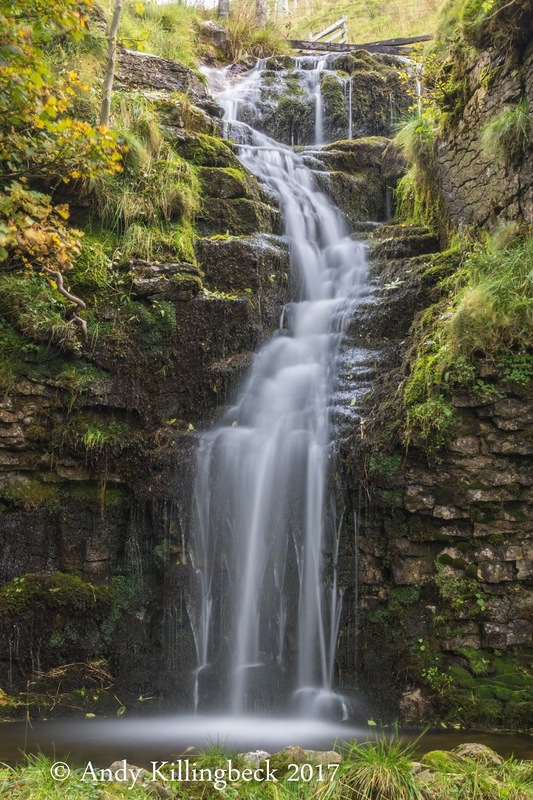 I'm not going to dwell about these too long, there is plenty of information on the web about these falls. 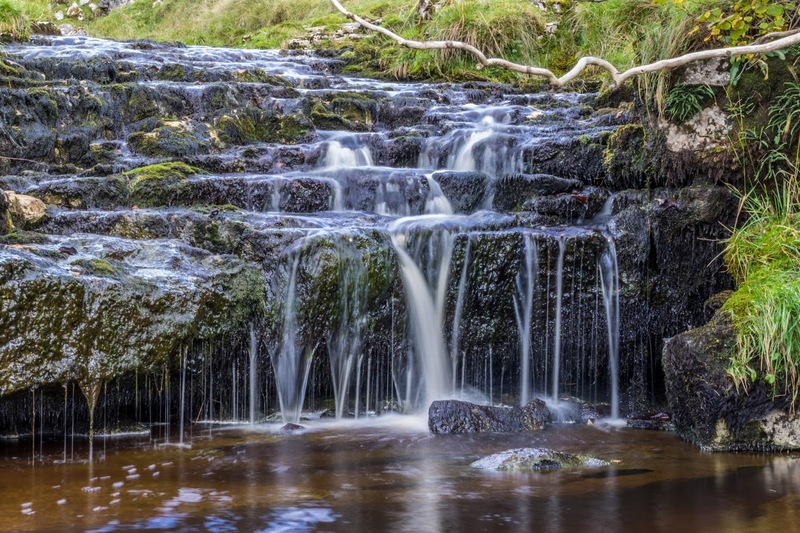 See:- http://www.ingletonwaterfallstrail.co.uk/waterfalls-trail for more details. 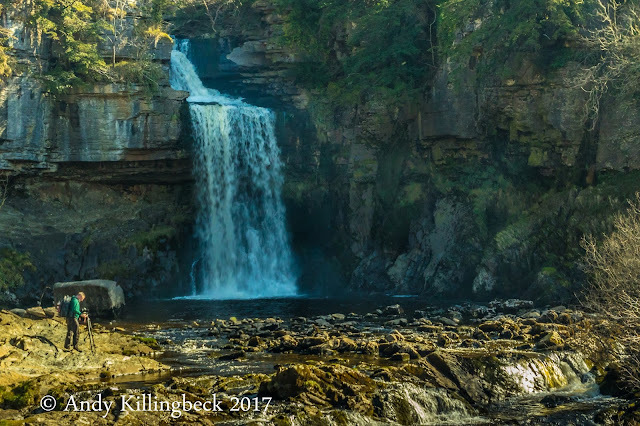 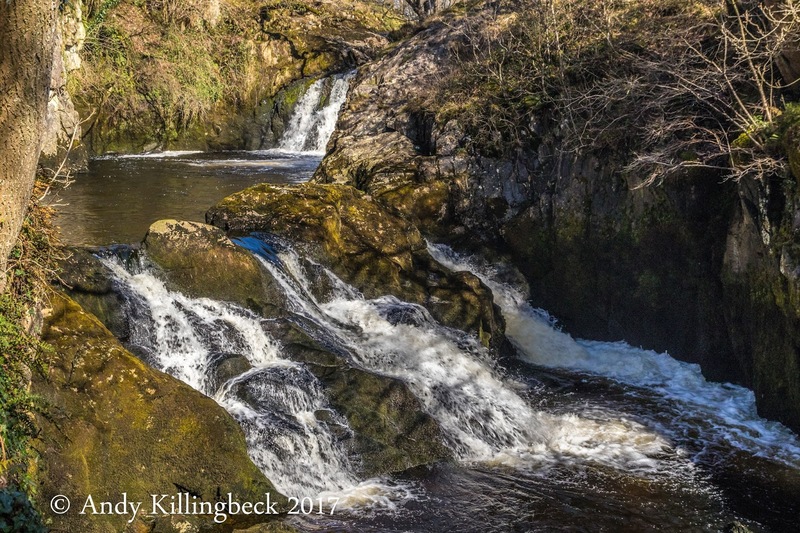 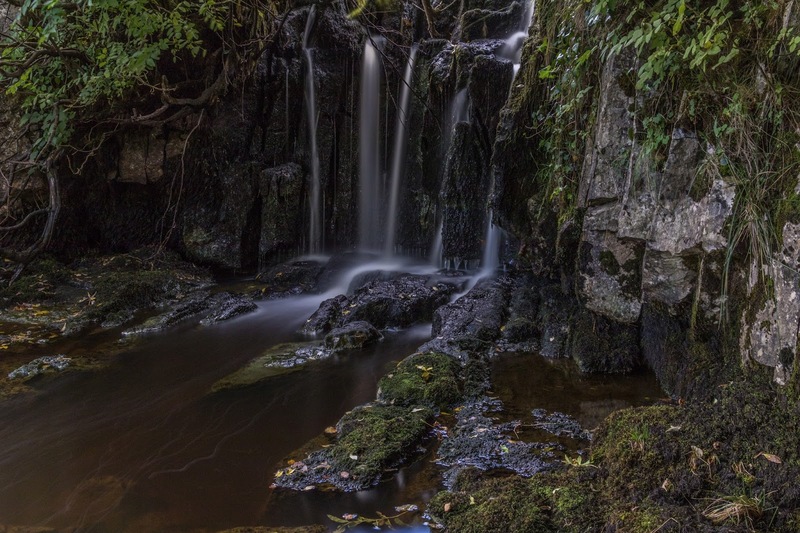 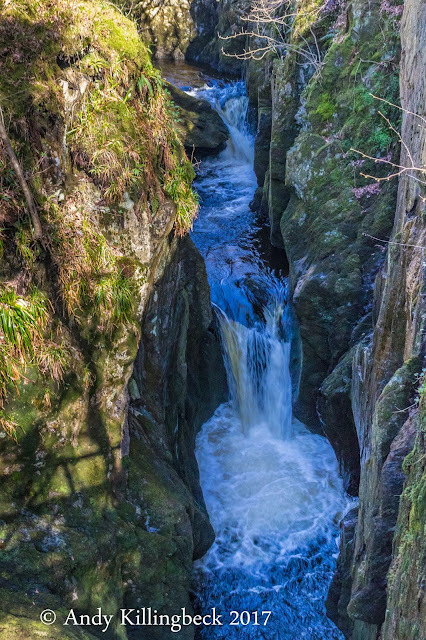 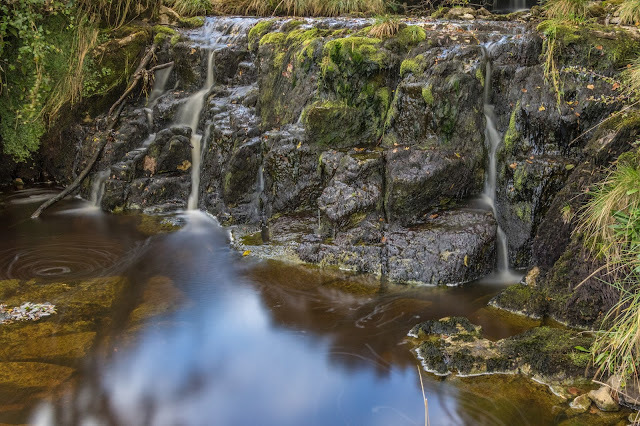 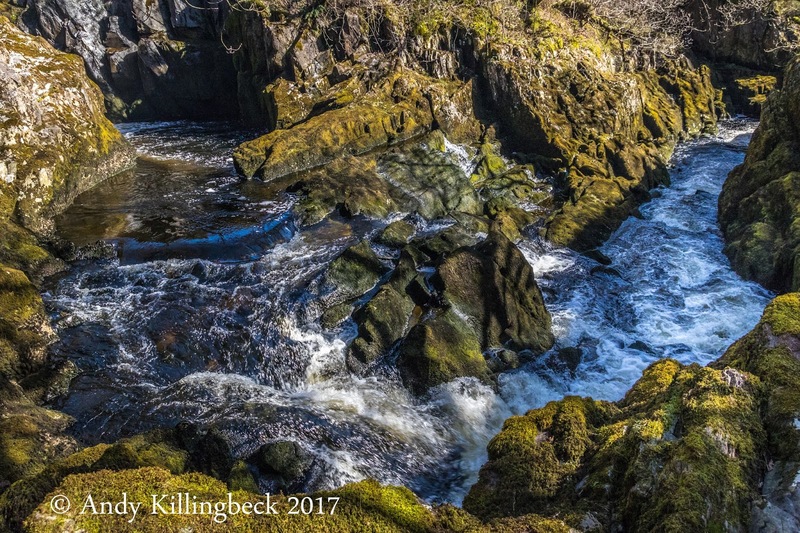 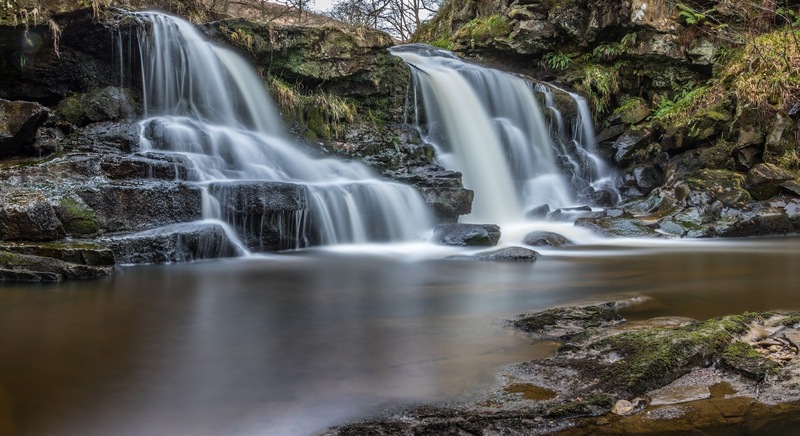 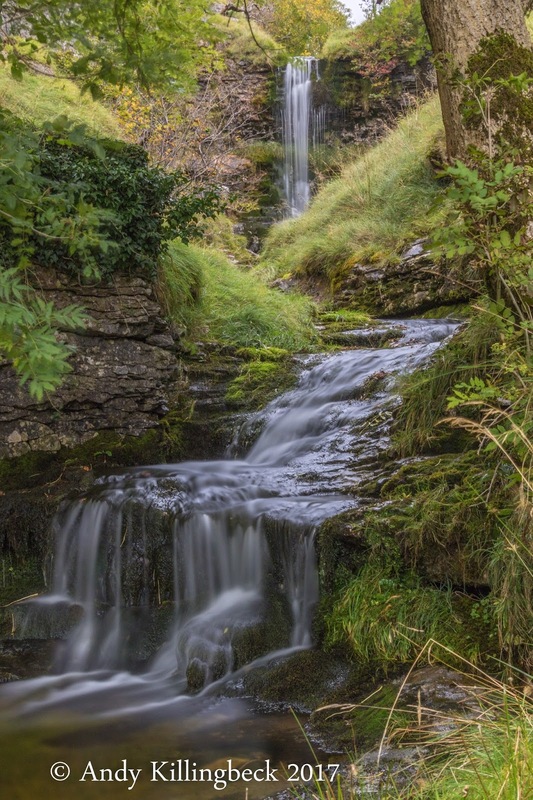 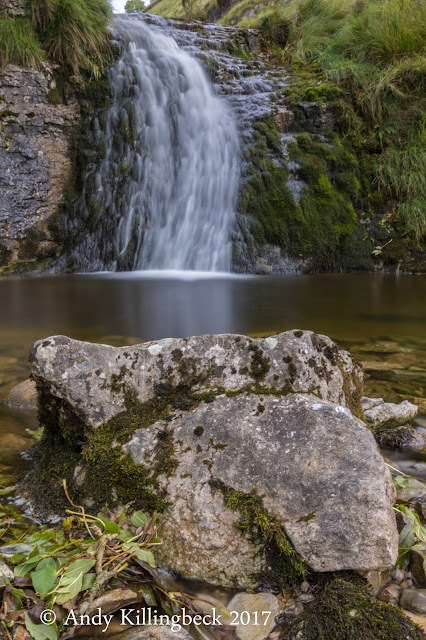 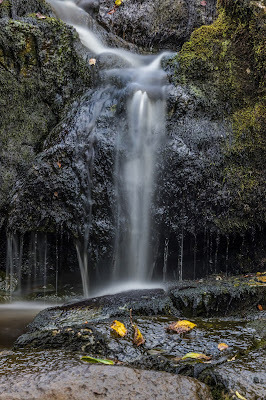 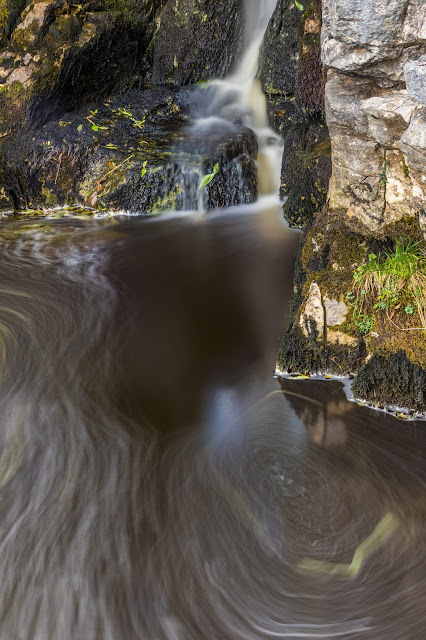 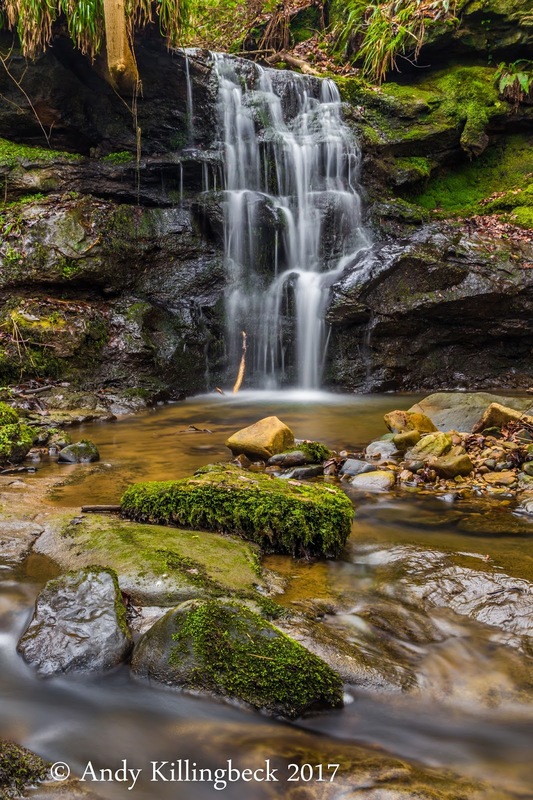 From a photographers point of view, as the 2 rivers that host the various falls are set in steep sided valleys, the falls, with the exception of Thornton Force can only be photographed from the pathways and viewing platforms which run alongside the 2 rivers, The Twiss and the Doe. 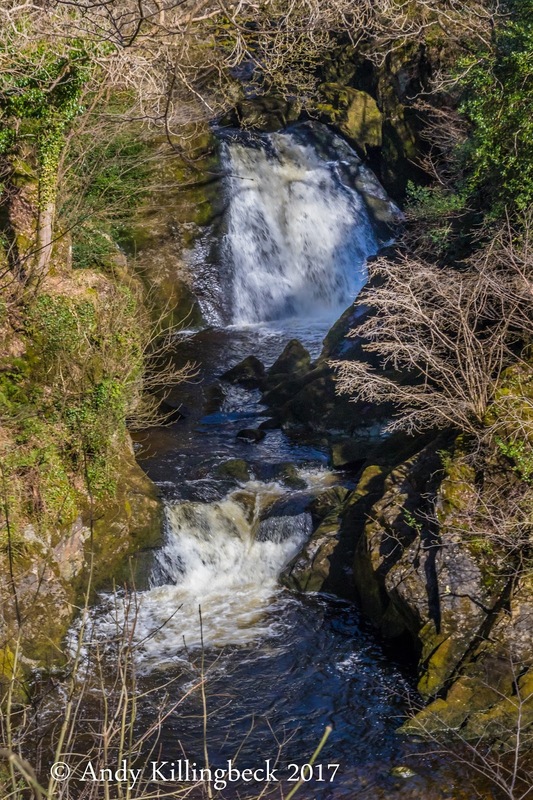 The rivers run north to south, so the falls are, for the most of the day facing the sun. 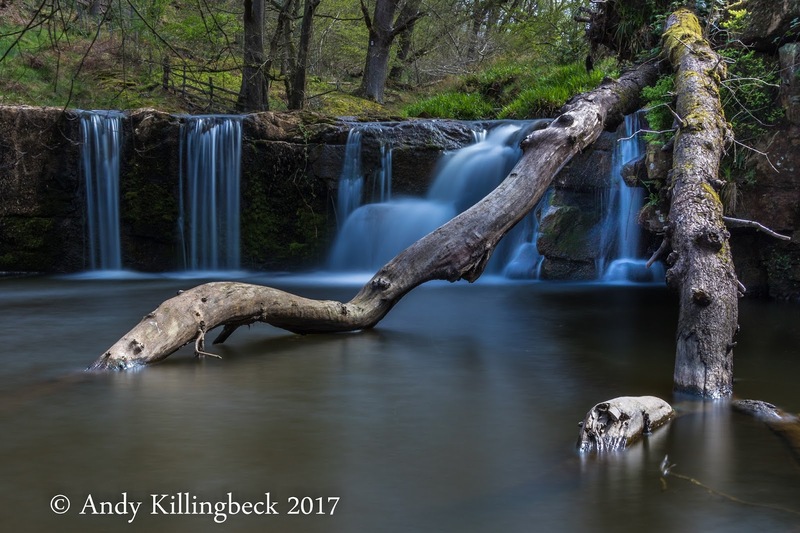 They are also surrounded by dense woodland which can make the locations dark, which can prove to be a challenge - so a tripod should be considered. 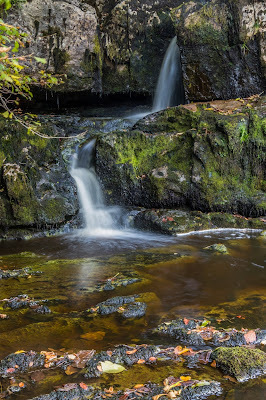 The best times of the year would be in Spring before the leaves appear or in late Autumn after the leaves have fallen. 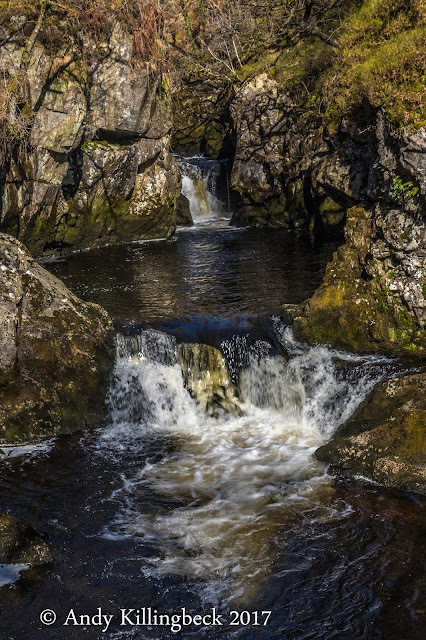 Avoid sunny days, a slightly overcast one would be better. The trail can be difficult and can take as long as 4 hours to get fully around. It doesn't matter which way you go or from which end you start, but remember, there is a charge! 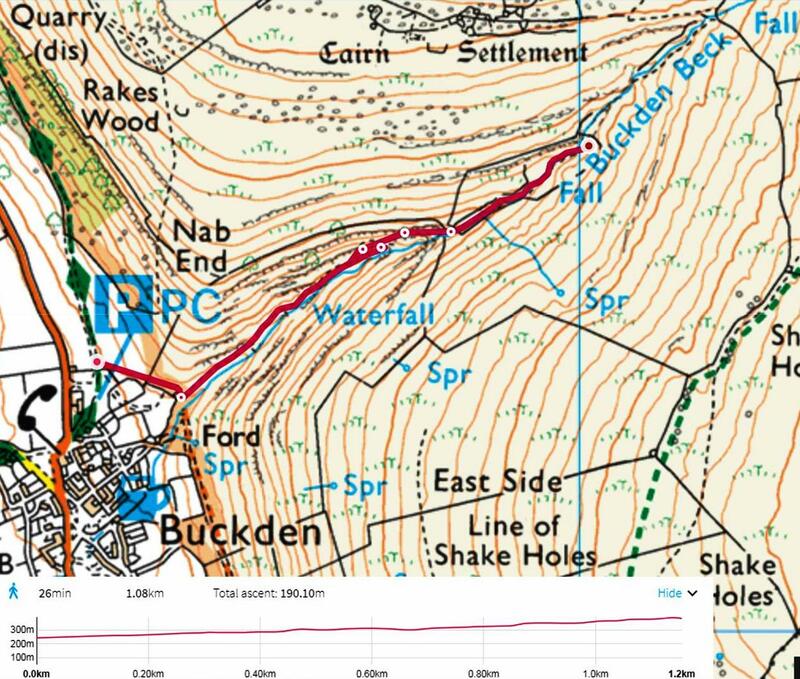 The map is from a recent walk I did for our Photography group. 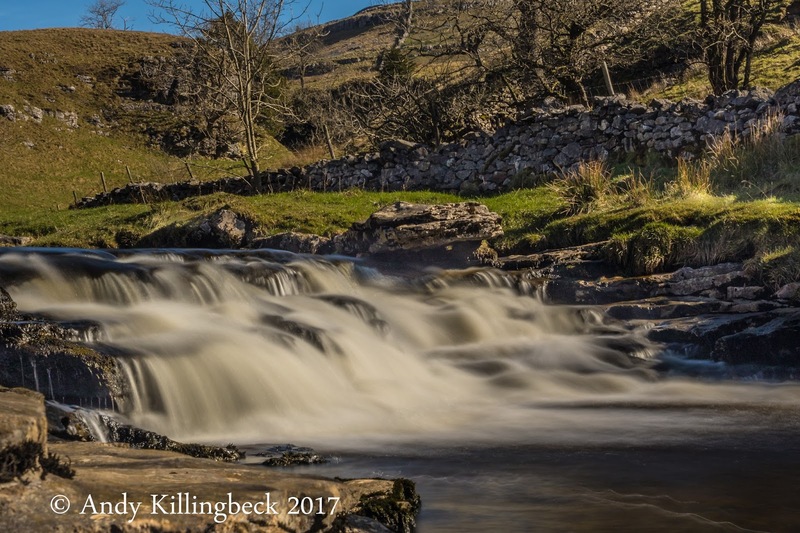 Whilst you are there, why not take a walk up on to Twistleton Scar and takes some photographs of the beautiful countryside that is Gods Own County of Yorkshire.